SMS Power! 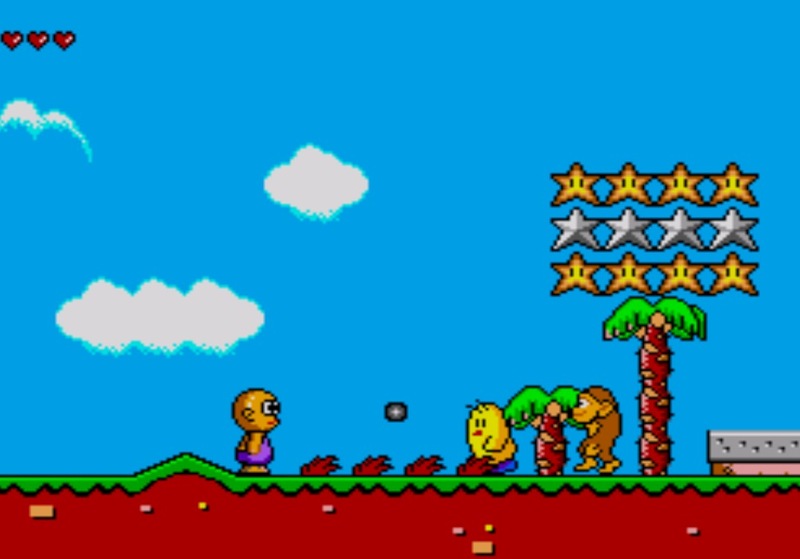 have been busy this past week as they have come across a number of prototypes which have been dumped and made playable through a real Sega Master System or emulator such as Fusion. The first game is a platformer called ' Cave Dude ', an unreleased prototype Innovation Tech tried to get released on the Game Gear in the US. Also known as Toto World 3 in Korea and part of the Australian 4 Pak All Action Compilation. Although not the most graphically impressive game compared to the likes of Sonic the Hedgehog, Cave Dude is a rather enjoyable platformer that will keep you coming back for more. It has a nice soundtrack, easy to pick up and play and what I really like is the character references in the game that remind me of some of those Arcade classics such as Toki and New Zealand Story. So if you want to have a play it's freely available and works on a Sega Master System and through emulation.